This revised edition of The Best Climbs of Joshua Tree National Park contains information gathered by the most knowledgeable climber and historian, Bob Gaines. 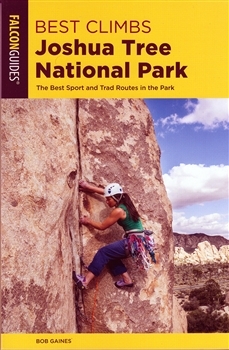 Over 50 of the best traditional and sport climbing routes. Maps location to each route, with driving directions. Bob Gaines has be a professional rock climbing guide since 1983. He owns and operate Vertical Adventures Rock Climbing School.